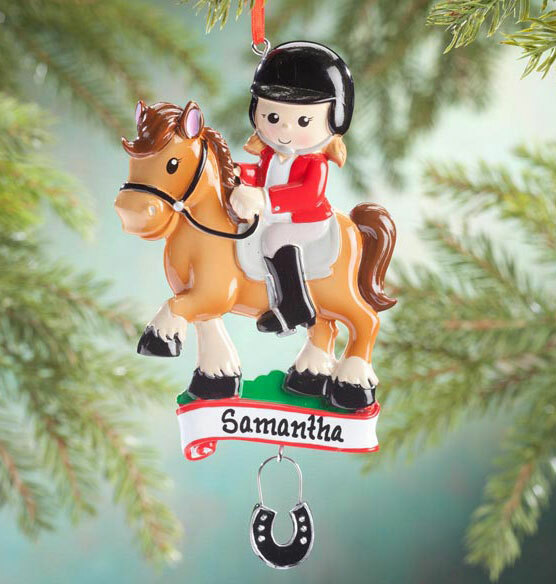 Personalized for your favorite equestrian, this ornament is sure to "stirrup" smiles! The colorful keepsake features a young rider, poised in the saddle and ready for the show ... with horseshoe charm dangling for added fun. 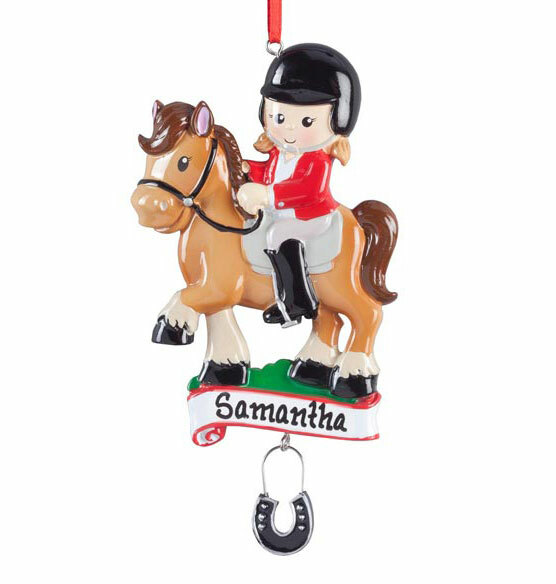 A great way to celebrate a special achievement, new hobby or passion that goes beyond the barn, our horse rider ornament arrives personalized for a blue-ribbon gift. Specify name; limit 1 line, 12 letters/spaces. Resin. 5 3/4" long x 3 1/4" high. Granddaughter loves when she goes horseback riding.